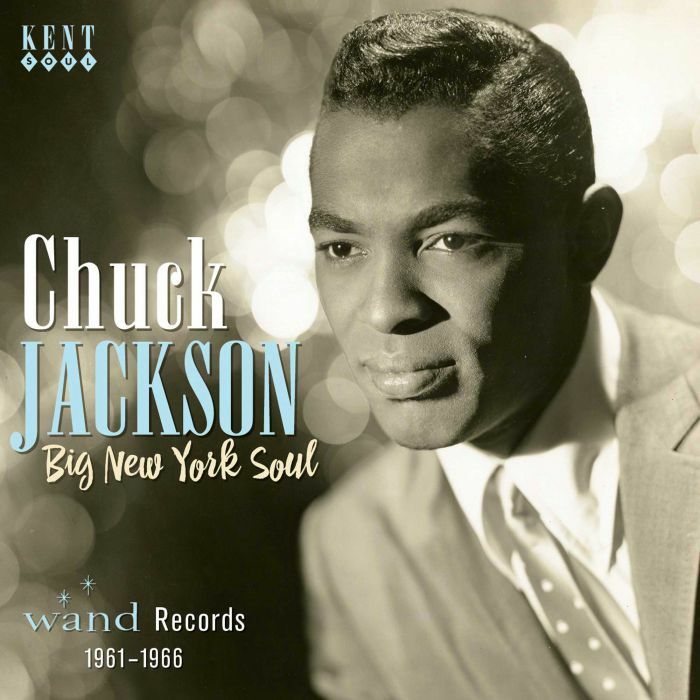 CHUCK JACKSON-BIG NEW YORK CITY SOUL: WAND RECORDS 1961-1966. 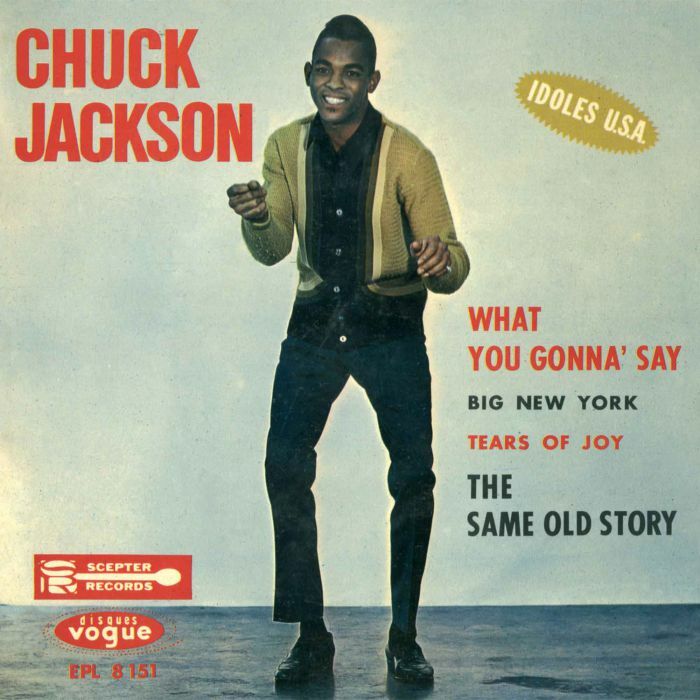 Chuck Jackson-Big New York Soul: Wand Records 1961-1966. Although, Pittsburg-based Chuck Jackson was just twenty-four when he signed to Wand Records in 1961,he was already an experienced singer. His career began in 1957, when he joined the second lineup of The Del-Vikings. Later, that year, Chuck Jackson sung the lead vocal on their 1957 single Willette. This was one of a number of singles that The Del-Vikings singles released between 1957 and 1959. Alas, none of these singles charted despite The Del-Vikings being a popular local draw. Eventually in 1959, Chuck Jackson parted company with The Del-Vikings, and embarked upon a solo career. Before long, Chuck Jackson had signed to the Petite label, and released Willette as single in 1959. When the single failed to find an audience, Chuck Jackson was on the move. This came about when Chuck Jackson was opening for Jackie Wilson at the Apollo Theatre in Harlem. In the audience that night, was Luther Dixon, who spotted the potential in Chuck Jackson. It was the break the twenty-two year old soul man had been waiting for. After being discovered by Luther Dixon, Chuck Jackson released two more singles for Clock. This included I’m Yours in April 1960, which stalled at ninety-one on the US Billboard 100. This was followed by This Is It later in 1960. Still commercial success eluded Chuck Jackson. After his contract at Clock expired Chuck Jackson released a Peeping Tom for Belltone using the moniker Chuck Flamingo. Just like previous solo singles, it sunk without trace. It was a similar case when Chuck Jackson released Mr. Pride as a single for Belltone in 1961. However, soon, Chuck Jackson’s luck was about to change. Later in 1961 Chuck Jackson signed to Wand Records, which was an imprint of the New York label Scepter Records. Little did Chuck Jackson know that this would be his home for the next six years. During that period, Chuck Jackson released thirty singles and ten albums. Some of these singles and albums were duets with Maxine Brown. Of these thirty singles, Chuck Jackson enjoyed seventeen hit singles in the US R&B charts and nineteen in the US Billboard 100. This was the most successful period of Chuck Jackson’s long career, and it’s been diligently documented and celebrated by Kent Soul over the past three decades. This included the best of Chuck Jackson’s Wand recordings on the Good Things compilation in 1990. After that, Kent reissued Chuck Jackson’s eight Wand albums on four CDs. However, during a recent look through the vaults, Kent Soul discovered enough material for one final compilation Big New York Soul: Wand Records 1961-1966..This included eight previously unreleased tracks, a number of rarities, B-Sides and some of Chuck Jackson’s classic track. Six of Chuck Jackson’s classic tracks feature on Big New York Soul: Wand Records 1961-1966. These six tracks are in mono, which will appeal to purists, and those who remember the tracks first time around. The earliest is The Same Old Story which was the B-side to the single (It Never Happens) In Real Life. It was released in March 1961 and gave Chuck Jackson a hit single. The Same Old Story features a hurt-filled, needy vocal and featured on the first of thirty singles Chuck Jackson released for Wand Records. In January 1962, Chuck Jackson released What You Gonna’ Say Tomorrow as a single, but it failed to chart. That was despite features a vocal that is a mixture of power, emotion and regret. Nine months later, the ballad Getting Ready For The Heartbreak was released in October 1962 as single, and reached eighty-eight in the US R&B charts. It’s a tale of betrayal where Chuck Jackson’s vocal is full of regret at the hurt he’s caused. When Chuck Jackson released Beg Me in May 1964, it added to his impressive toll of hit singles. Hidden away on the B-side was rueful ballad This Broken Heart (That You Gave Me) which was written by Van McCoy. Chuck Jackson brought the lyrics to life, and made it his own. 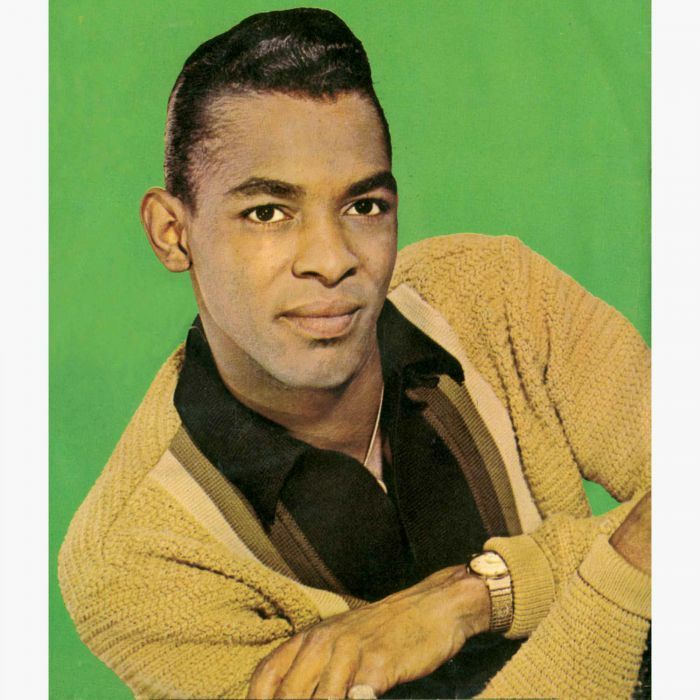 Fourteen months later, and the ballad If I Didn’t Love You gave Chuck Jackson another hit single when it was released in July 1965. It reached forty-six in the US Billboard 100 and eighteen in the US R&B charts. Chuck Jackson it seemed could do no wrong. 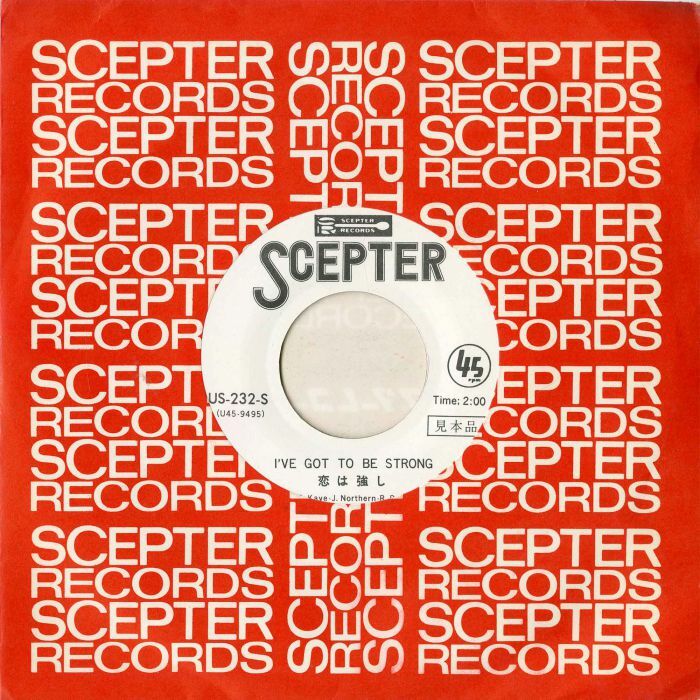 He returned in October 1966 with I’ve Got To Be Strong. Despite the quality of this dancer, it failed to trouble the charts. What nobody realised was that Chuck Jackson had enjoyed the most successful period of his career at Wand Records. There’s also a number of other B-Sides on Big New York Soul: Wand Records 1961-1966. This includes the Chuck Jackson and Florence Green composition For All Time, a ballad which was the B-Side of Beg Me in 1964. Two years later, and Chuck Jackson released All In My Mind in April 1966, and tucked away on the B-Side the sensuous ballad And That’s Saying A Lot, which was penned by Chuck Jackson and Walter Godfrey. Both these ballads are a reminder of the quality of music that soul man Chuck Jackson was releasing during his Wand Records’ days. Even his B-Sides oozed quality. That is the also case with much of the music on Big New York Soul: Wand Records 1961-1966, including the unreleased tracks. This includes the lively album opener Things Just Ain’t Right. There’s also a breathtaking cover of Curtis Mayfield composition Need To Belong, which was originally covered by Jerry Butler and Anymore Chuck Jackson’s duet with Dionne Warwick. There’s emotive readings Why Some People Don’t Like Me and Through The Tears, Meet Me Half Way. Then on the uptempo All About You, Chuck Jackson delivers an impassioned vocal. However, Chuck Jackson reaches new heights on the James W. Alexander composition Why, Why, Why which features a soul-baring vocal. No wonder it was chosen to close the compilation. Two of the unreleased tracks are alternate takes. The first is Hand It Over recorded in 1964, and features a vocal powerhouse where Chuck Jackson’s vocal is full of emotion. 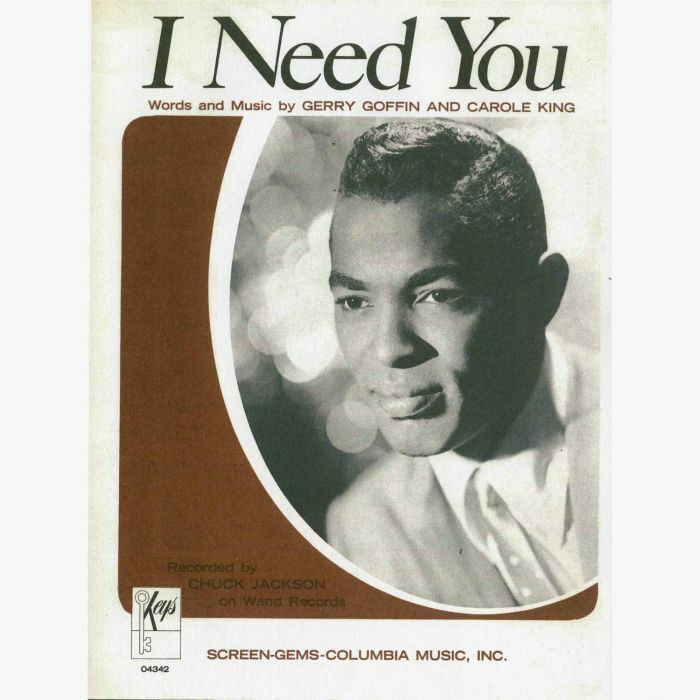 A year later in 1965, Chuck Jackson recorded version to of the string drenched ballad Forget About Me. It’s a welcome addition to Big New York Soul: Wand Records 1961-1966. The same can be said of the various rarities that feature on the compilation. This includes Chuck Jackson’s version of the uptempo dancer Little By Little, which was produced by Stan Green. It made its debut thirty years ago on the 1987 Kent LP A Powerful Soul, which nowadays, is a real rarity. Another rarity is The Silencer, which made its debut on a compilations in 1992, and sounds as if it belongs on the soundtrack to a film about spies and espionage. A welcome addition is the demo of In Between Tears, which made its debut many on a Kent LP The Magic Touch in 1986. Thirty-one years later, In Between Tears returns for an encore. Another track making a welcome return is Big New York, which was released as a single in September 1963. It was penned and produced by Ed Townsend. It opens with who sweeping, swirling string, timpani and brassy, stentorian horns that give way to a female chose and traffic noise. From there, Chuck Jackson combines soul with vocal jazz on a song that gave him a minor hilt single. The other two songs on Big New York Soul: Wand Records 1961-1966 are taken from Chuck Jackson’s fourth album Encore! King Of The Mountain features a vocal powerhouse from Chuck Jackson, while he delivers a hopeful vocal Another Day. After Encore!, Chuck Jackson released another six albums, taking his tally to ten during his six-year stay at Wand Records. Chuck Jackson’s time at Wand Records ended in 1967. The first five years were the most successful, and that is the period that Big New York Soul: Wand Records 1961-1966 covers. It was recently released by Kent Soul, which is an imprint of Ace Records. It’s Kent Soul’s final compilation of Chuck Jackson’s music from the Wand Records’ vaults. For newcomers to Chuck Jackson’s spell at Wand Records, then Big New York Soul: Wand Records 1961-1966 is the perfect place to start. After that, there’s plenty more to discover, including the eight albums that Chuck Jackson released for Wand Records. They’ve been released on four albums by Kent Soul, and document the most successful period of Chuck Jackson’s career. During this period, Chuck Jackson enjoyed seventeen hit singles in the US R&B charts and nineteen in the US Billboard 100. He was one of the most successful soul singers signed to Wand Records, and had a huge following on both sides of the Atlantic. 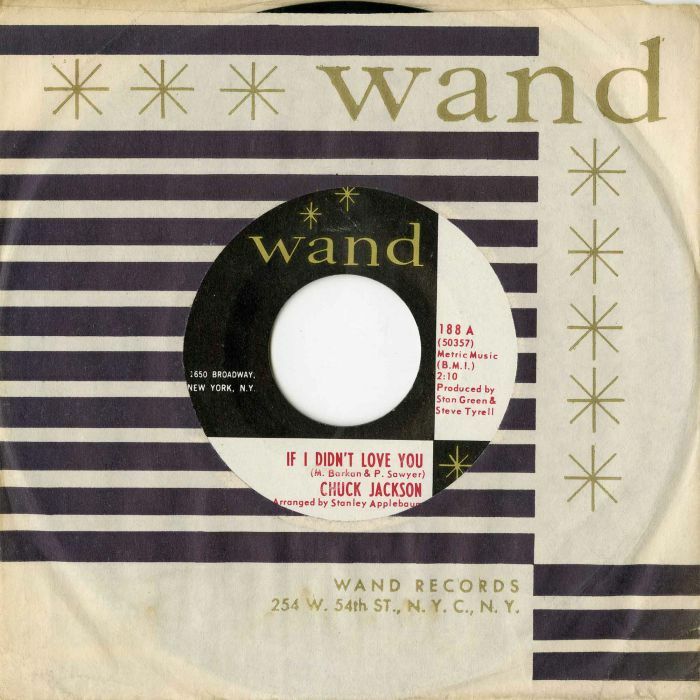 That is still the case today, and Chuck Jackson’s legion of fans will enjoy the hits, B-Side, rarities and unreleased tracks on Big New York Soul: Wand Records 1961-1966 which celebrates the career of a veteran soul man. Earlier this year, Chuck Jackson celebrated his eightieth birthday, and Big New York Soul: Wand Records 1961-1966 is a reminder and celebration of the most successful period of Chuck Jackson’s long and illustrious career. ← ORCHESTRE LES MANGELEPA-LAST BAND STANDING.